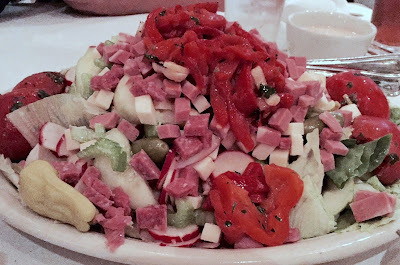 Many of Atlantic City's casino restaurants are tourist traps, but Carmine's isn't one of them. The family-style Italian restaurant is among several at Tropicana's The Quarter (2801 Pacific Ave., 609-572-9300) with gluten-free options. The original Carmine's opened in Manhattan in 1990 and has since expanded to six locations, including Caesars Palace in Las Vegas and The Atlantis at Paradise Island, Bahamas. Carmine's has a number of allergen menus, including one for gluten-free guests. To celebrate the end of a successful youth baseball tournament in Mays Landing last month, the Gluten Free Philly family headed east to the famous beach town - a city that has lost some luster in recent years but still holds flashes of charm. Even during our Sunday evening off-season visit, there was a bustling crowd waiting to be seated. 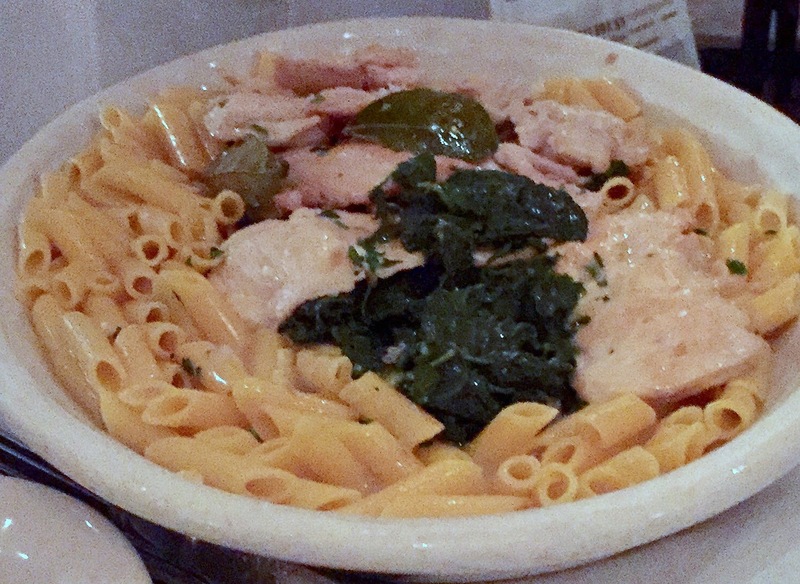 Our server assured us that the kitchen takes care when preparing gluten-free meals, including boiling the corn-based pasta in separate water. We began our meal with a heaping antipasto - a hearty mix of Italian meats and cheeses along with olives, peppers and other vegetables. Carmine's is famous for its "Titanic" ice cream sundae that feeds 10 - a heavenly combination of a flourless chocolate torte, vanilla and chocolate ice cream, whipped cream, strawberries and bananas, pineapple, chocolate syrup and hazelnuts. (When ordering gluten free, hazelnut cookies are omitted.) We opted for the half-size "Tugboat," which - despite being smaller - was still a satisfying dessert. With its old-school Italian ambiance, Carmine's is perfectly suited for an Atlantic City dining destination.